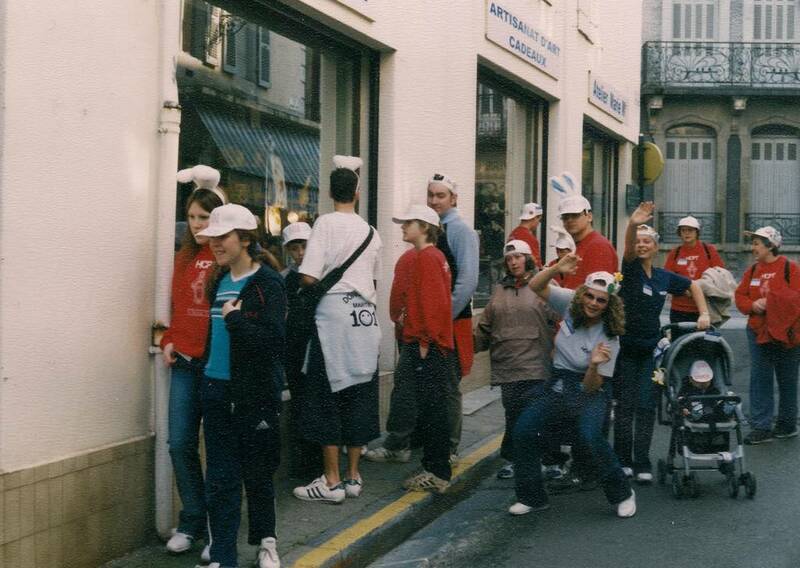 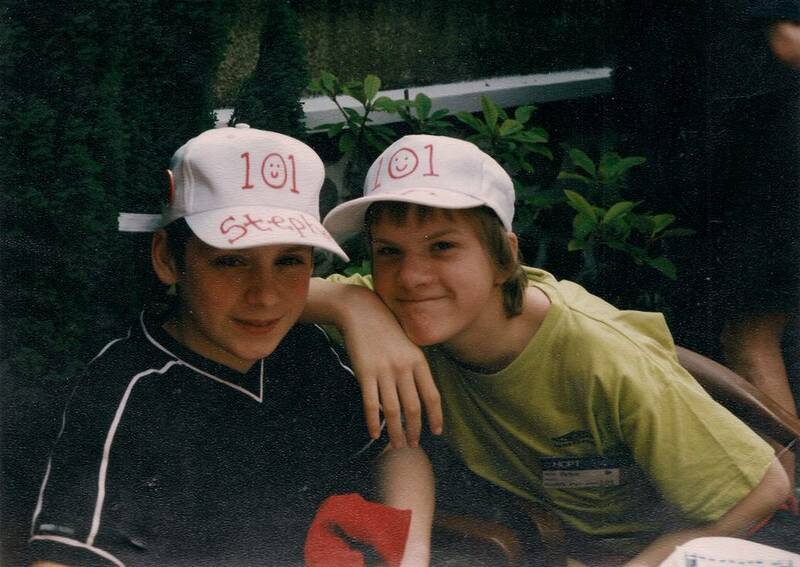 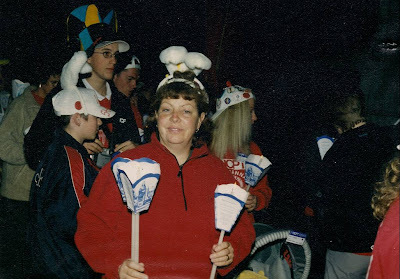 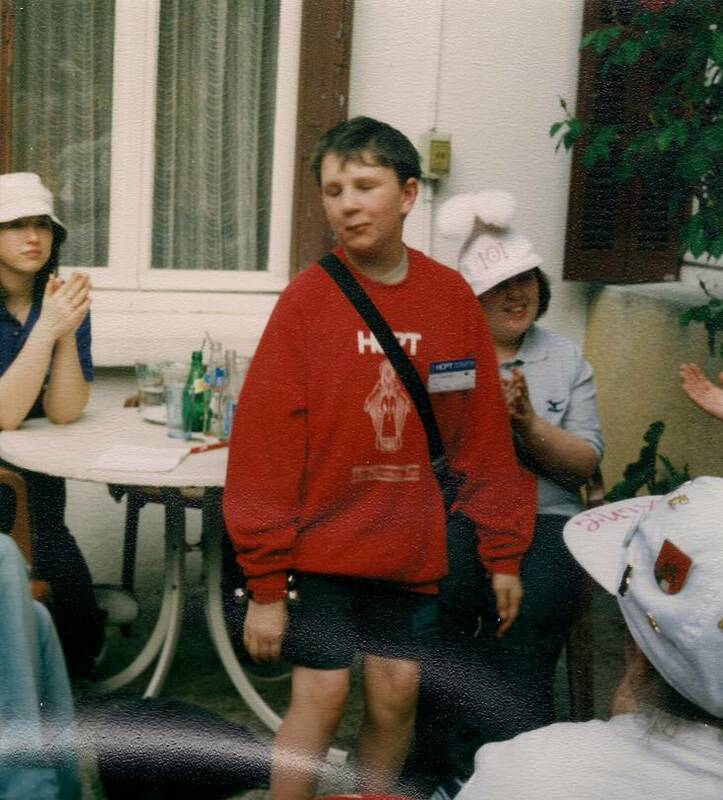 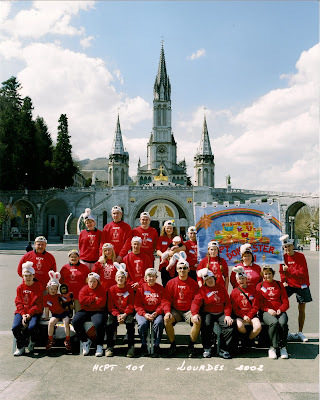 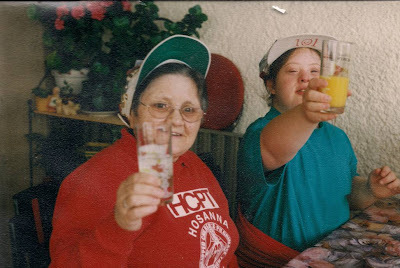 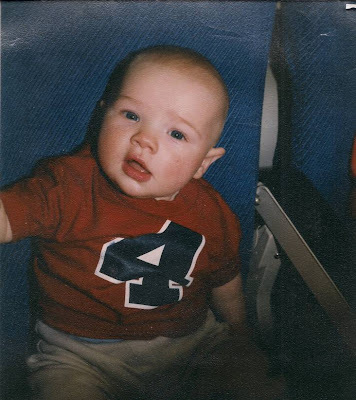 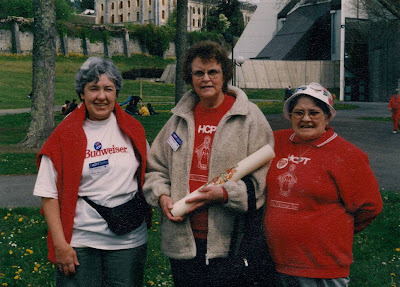 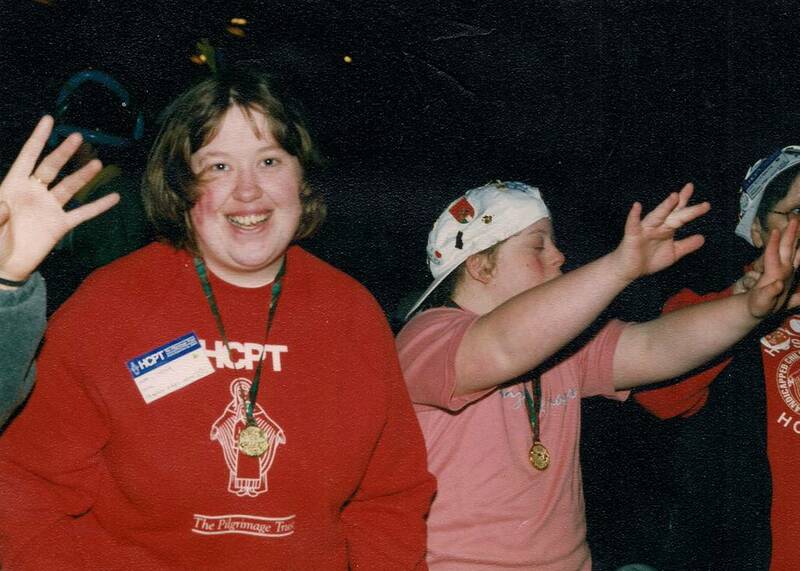 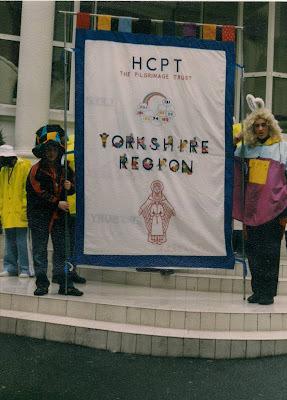 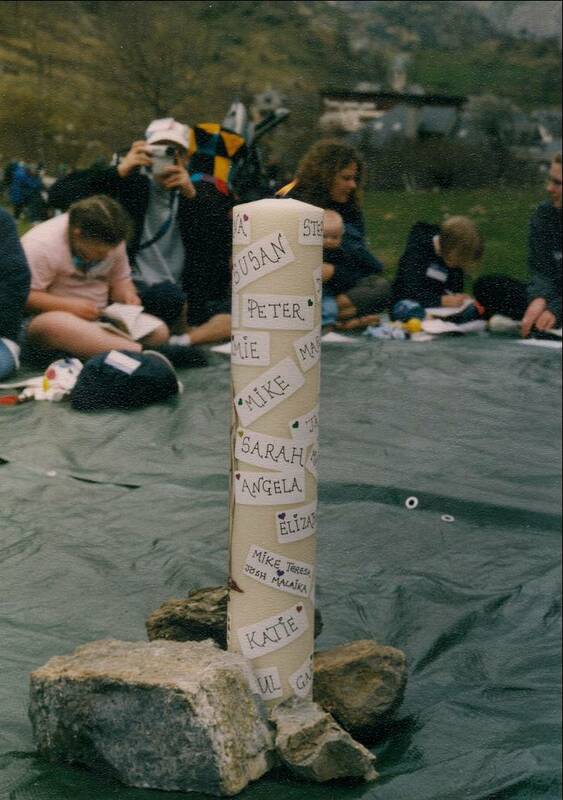 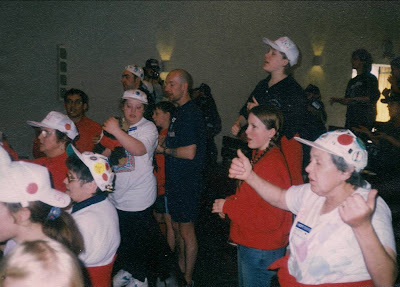 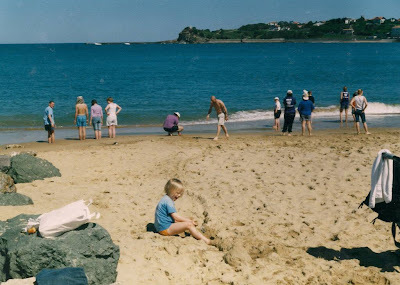 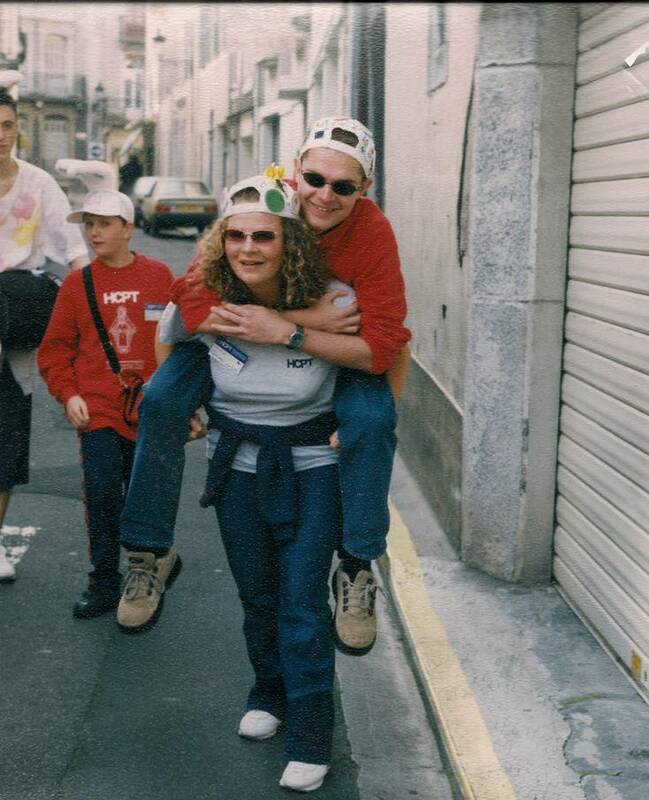 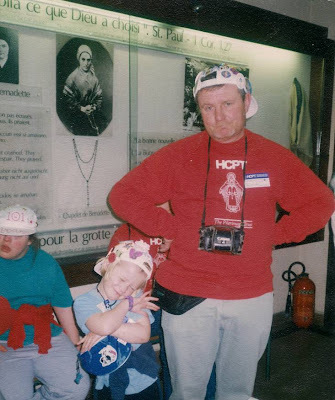 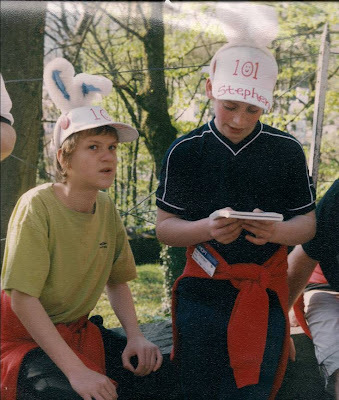 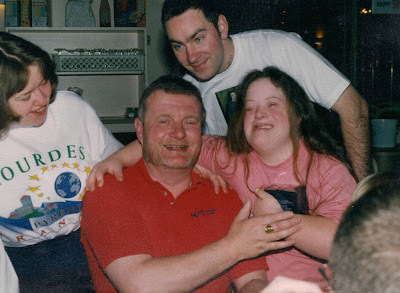 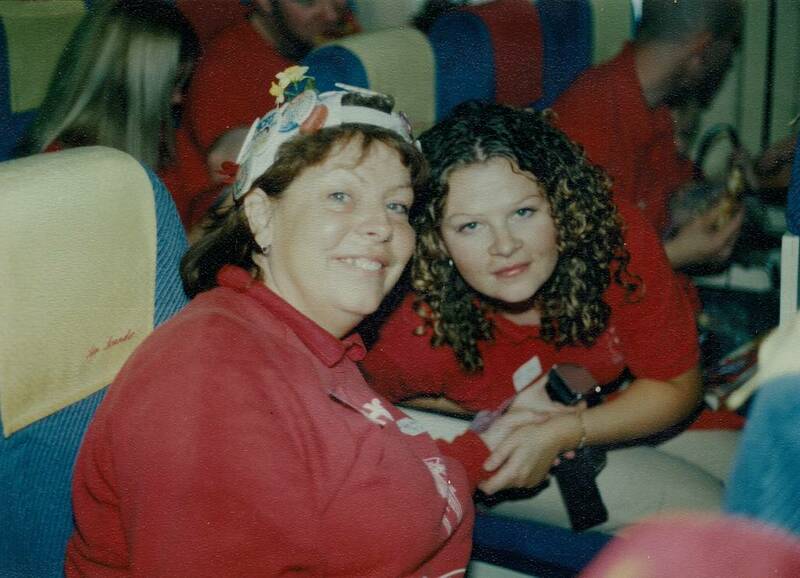 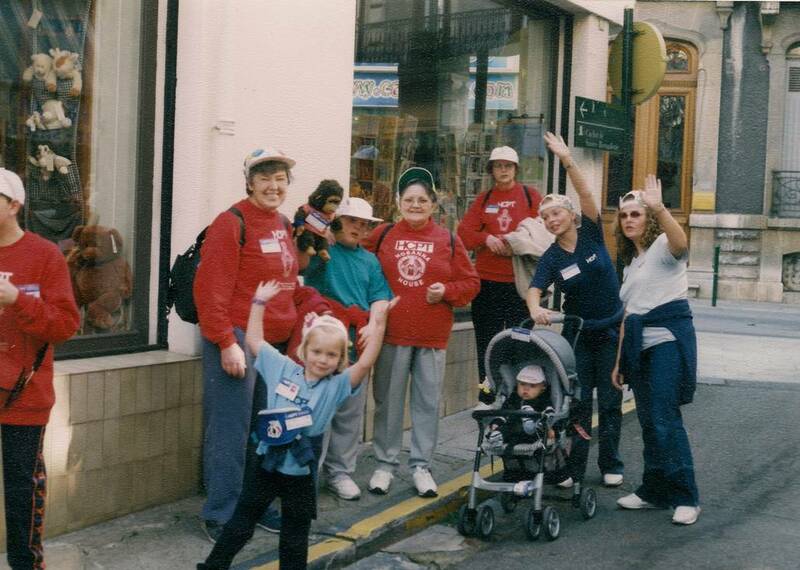 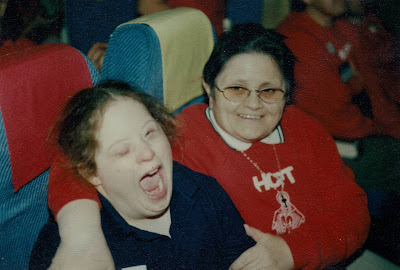 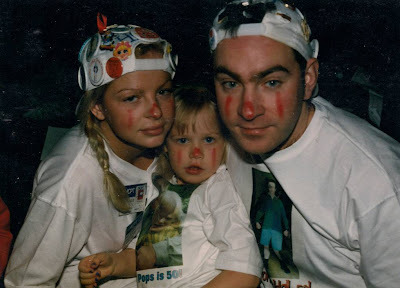 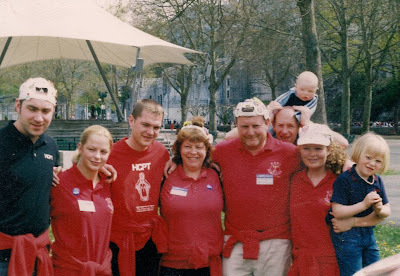 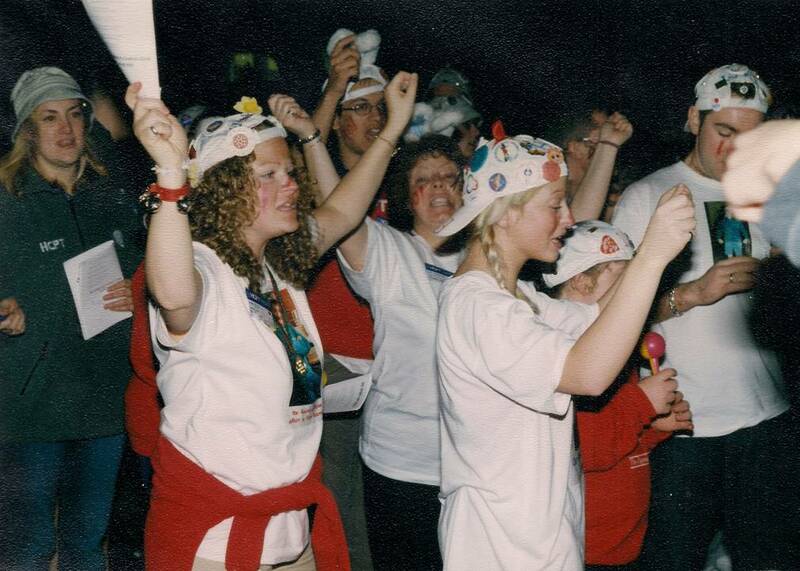 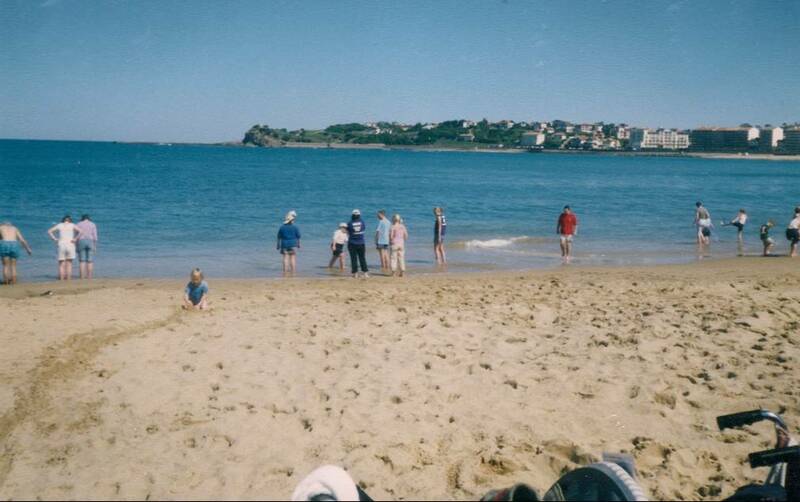 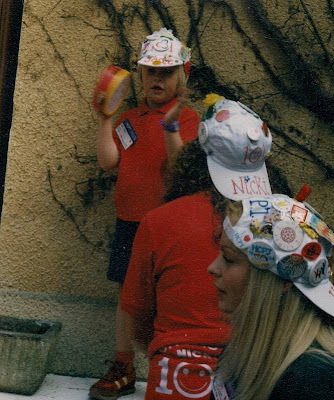 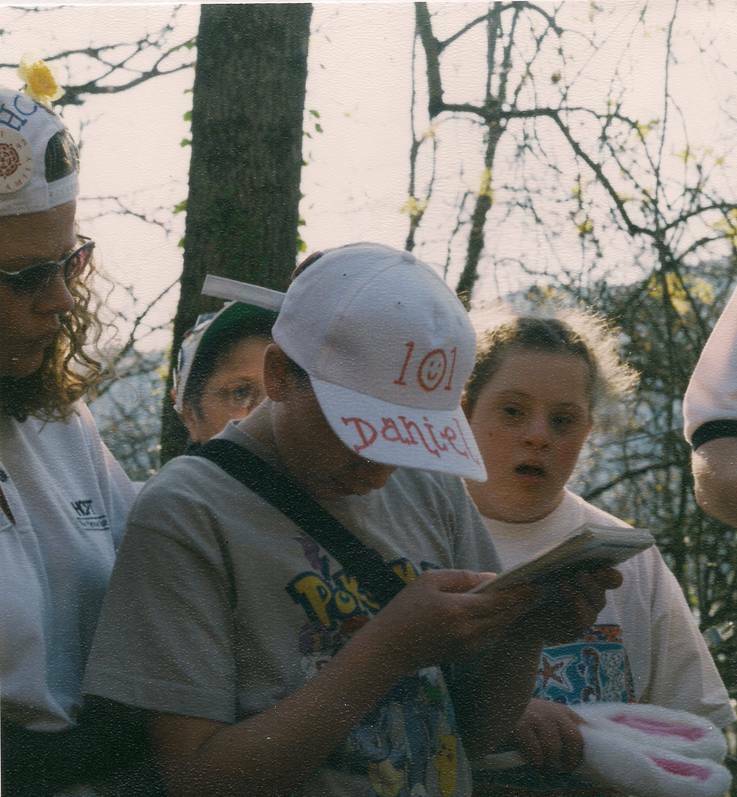 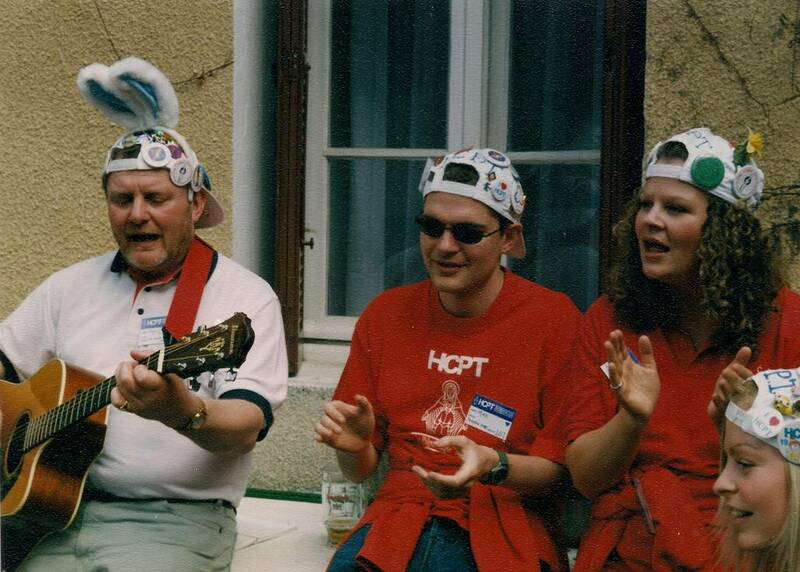 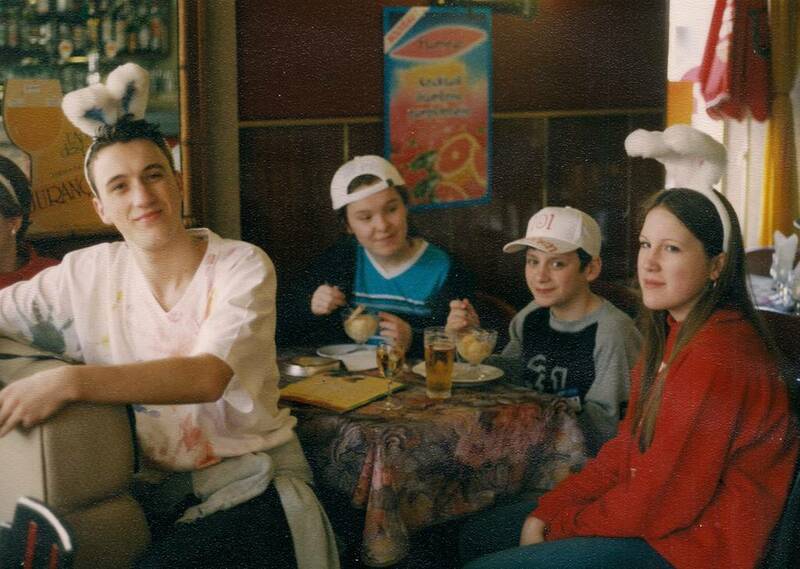 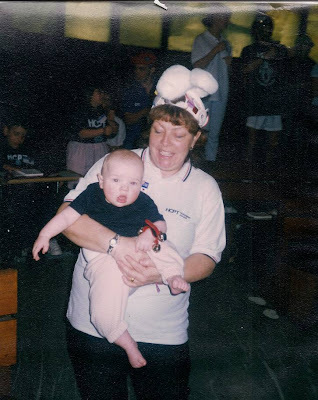 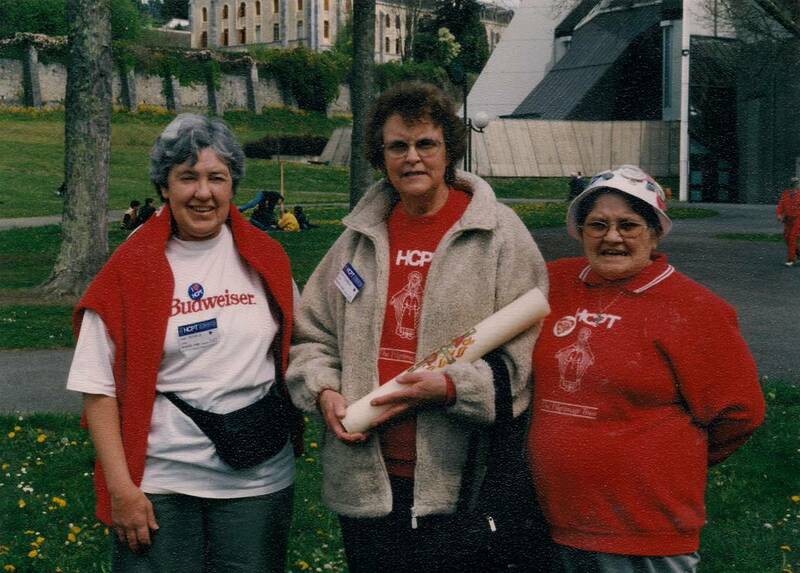 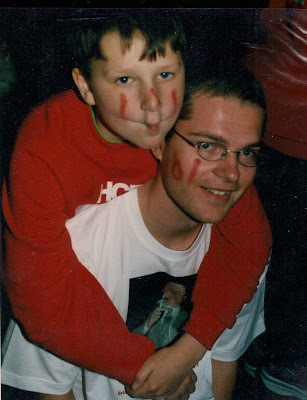 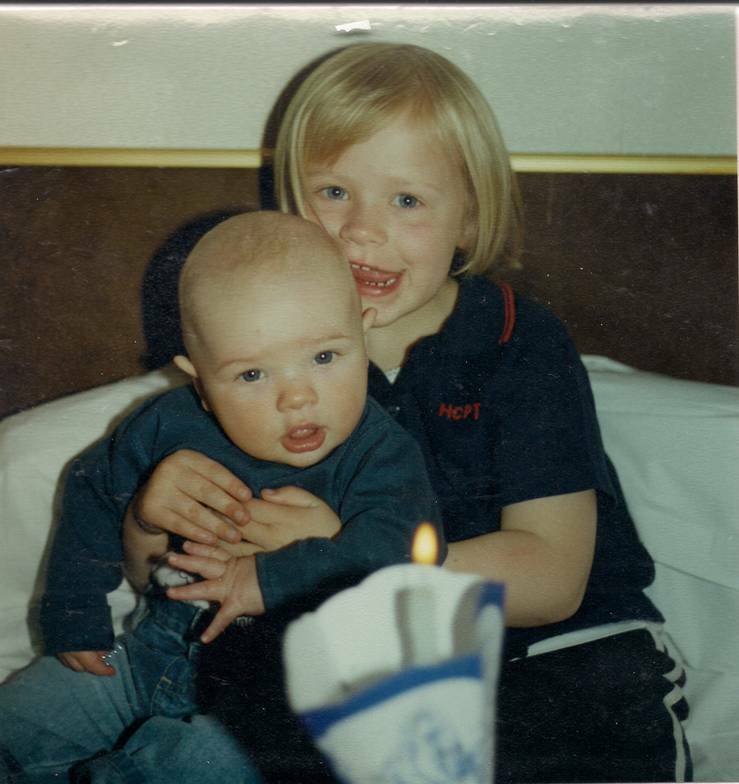 From the Group 101 archives, here are some photos from the Easter 2002 Lourdes pilgrimage. 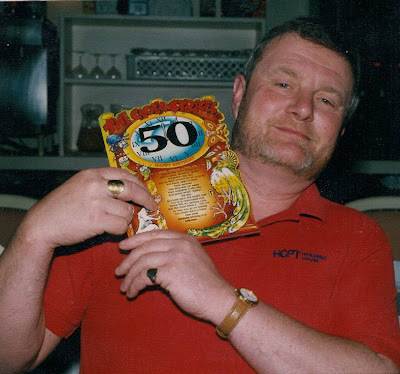 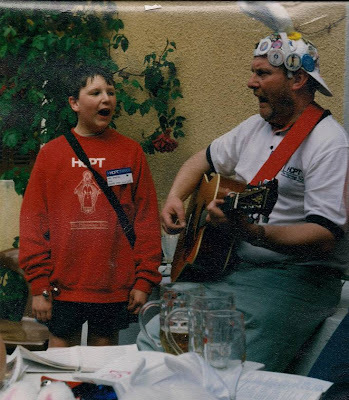 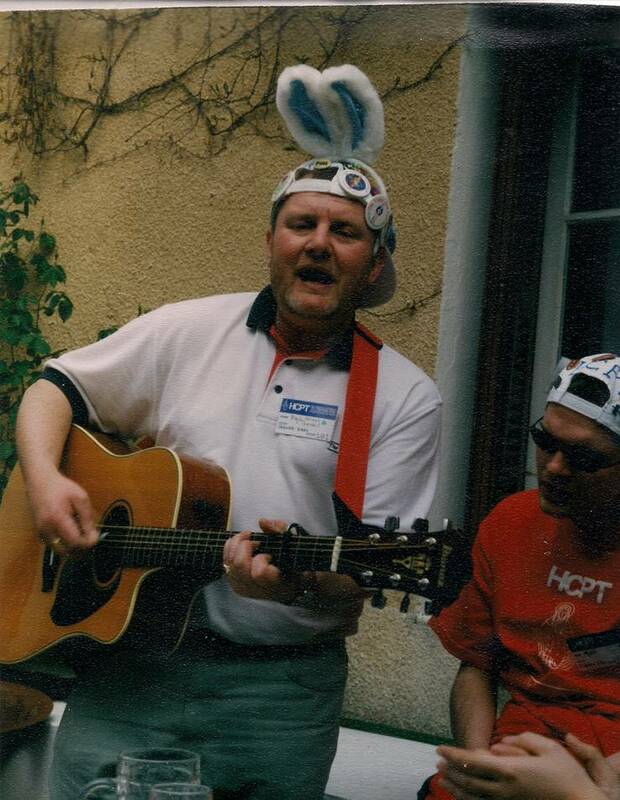 The theme for that year was 'We Are In The Heart Of Jesus', and Group leader Phil Hall celebrated his 50th Birthday in Lourdes that year. 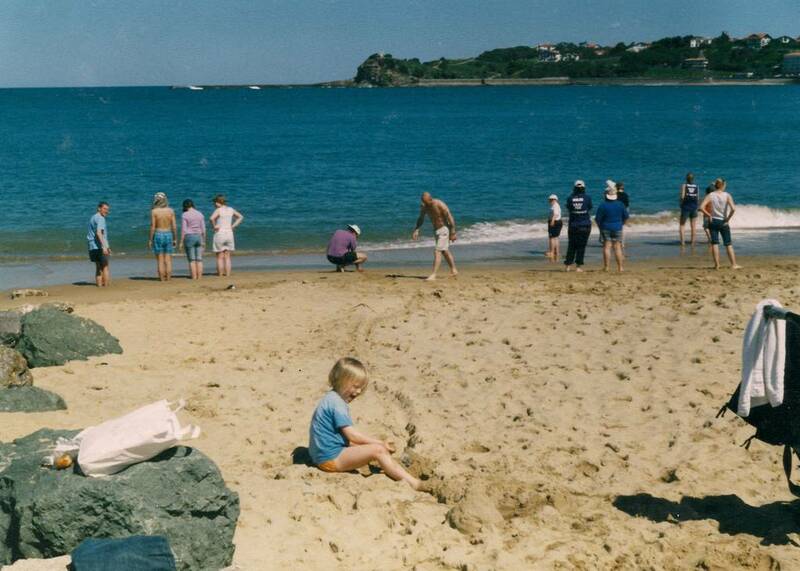 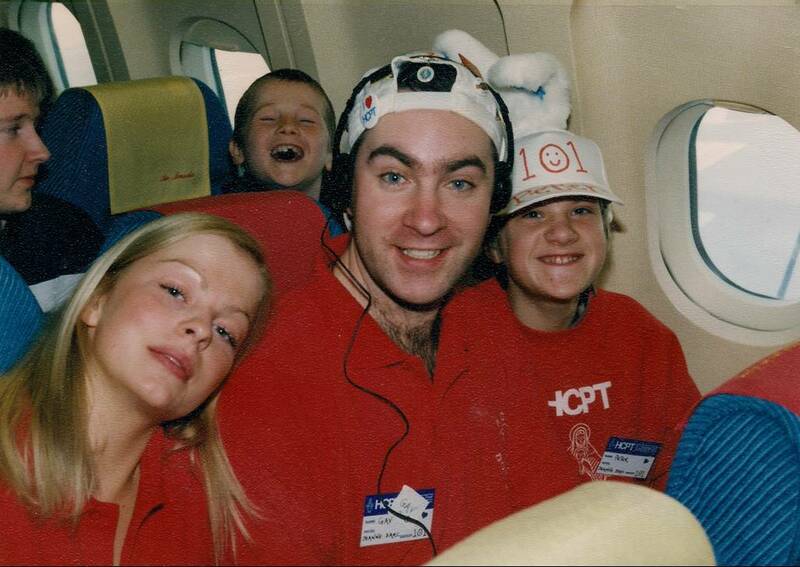 Daniel Grundy, who sadly passed away in 2008, was one of the sponsored children that year, he entertained us with his opera singing and unique sense of humour.